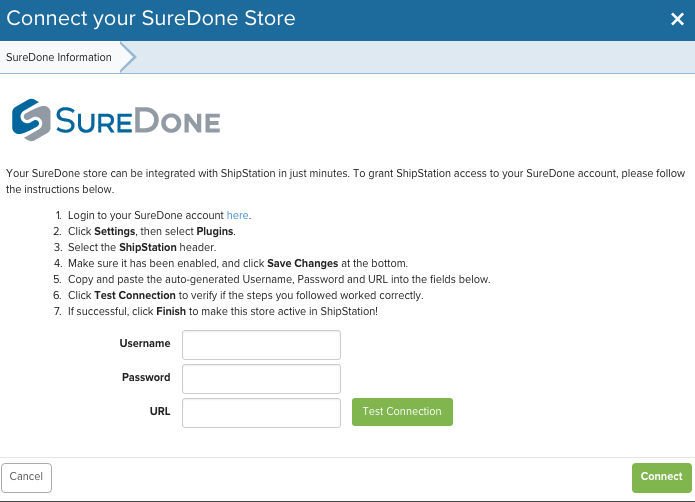 By default, SureDone sends the GUID field to ShipStation. If you want to setup a custom mapping of SKU to ShipStation, you can do that by adding ?skufield=[custom_field] in the URL that you send to ShipStation. If you have a location field you want mapped, you would enter ?locationfield=[location_field]. If you want both, you would add an & symbol in between them. Lastly, you can custom map the title field as well if you want to send in a different title to ShipStation. The default field we send for title is title. 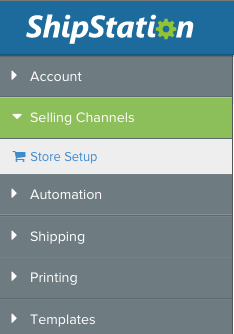 SureDone allows for the ability to send in up to 3 custom fields from your account to ShipStation. To do so, you'll need to use the values of ?cf1, ?cf2, and ?cf3. To filter out eBay orders, add &ebay=0 to the end of your url. To filter out Amazon orders, add &amzn=0. The 0 means do not send this field to ShipStation.